Line a cookie sheet with foil and place a rack on top. Spray rack. Make a slit in the meatiest part of each chicken breast to make a little pocket. Stuff with mozzarella and sauteed spinach and pinch together as best as you can. Toss Breadcrumbs with ½ of the Parmesan Cheese, Parsley, & Salt. Dip Chicken in Egg, then press firmly in to Bread Crumb Mixture on both sides and place on sprayed rack. Spray top of Chicken with Olive Oil or Cooking Spray. Bake at 400̊ for 20 minutes. Sprinkle Parmesan Cheese and bake for another 5 minutes. Plate Cooked Pasta with Sauce on top. 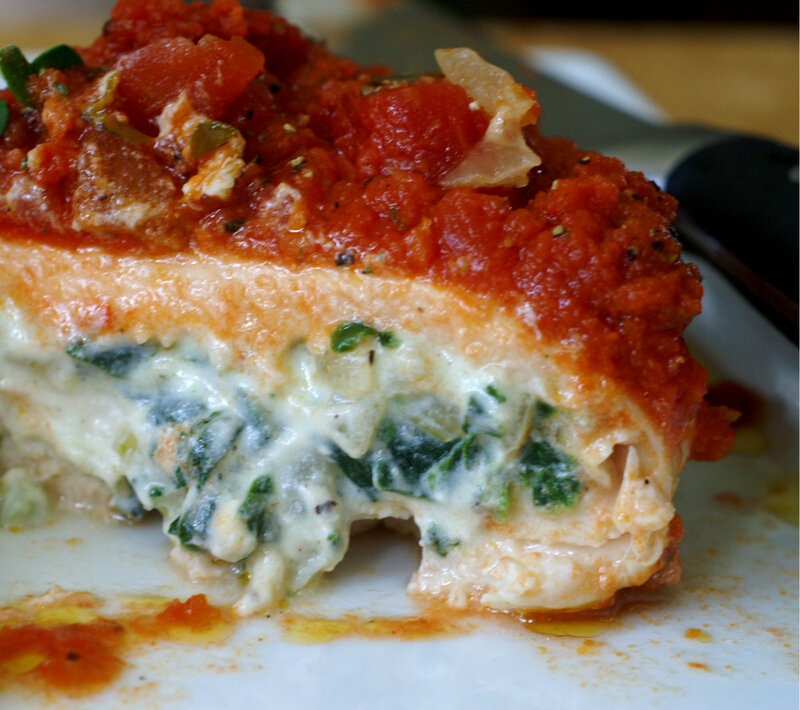 Top with your Spinach Stuffed Chicken Parmesan!